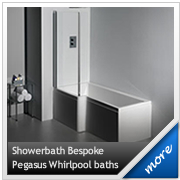 View our range of quality Carron baths available with a choice of popular Pegasus Whirlpool systems. 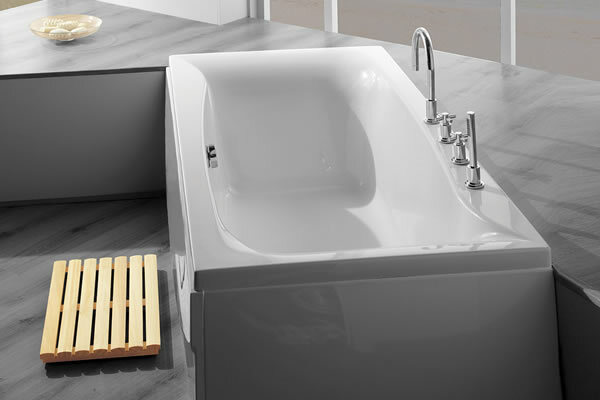 Carron baths are available in a range of shapes and sizes to suit every need, from straight, rectanguar baths to corner baths, shower baths and large, luxury baths. Carron manufacturue their baths using 5mm thick, high quality acrylic and can be upgraded to include Carronite reinforcement for added strength and peace of mind. Baths reinforced with Carronite are supplied with a 30 year guarentee. 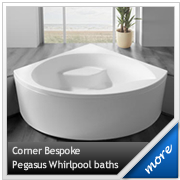 All Carron baths available at Bathroom Express have the option of adding a luxury whirlpool system manufactured in the UK by Pegasus Whirlpool Baths™. Popular whirlpool systems are offered with each bathtub and are available with either sensa-jets or our new, desirable flush-jets. If you are looking for a more bespoke whirlpool system to target aches and pains, please contact us on 01633 244555 for a whirlpool bath planner where you can select custom jet patterns and control positions, making your whirlpool bathtub unique to you and your requirements.